It’s never too soon to start teaching your kids about looking after the world we live in. 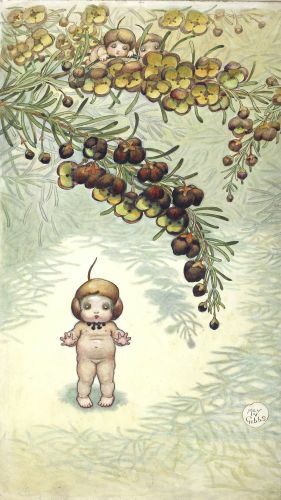 And what better way to impart the message of conservation for kids than by using the magic of May Gibbs’ Gumnut Babies? The adorable and iconic Snugglepot and Cuddlepie live and play in the Australian bush and it’s up to us to protect it! Here are some simple and fun ideas for empowering your kiddo to care for their environment and save the bush babies’ home! 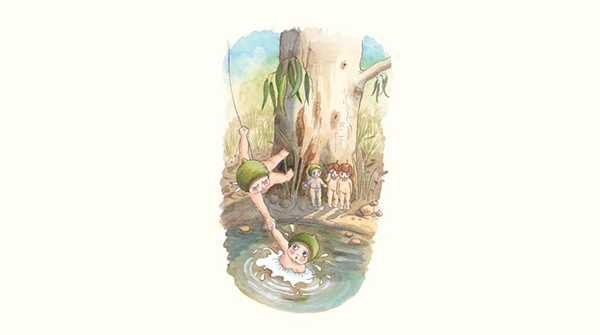 Every drop of water is a precious Gumnut Baby bath! Here in our wide brown land, water conservation is crucial. Without clean, fresh water, there’d be nothing to drink or bathe in. The same goes for the Gumnut Babies and their friends! Remind your child of the importance of using water sparingly and to make sure they turn taps off all the way – or ask an adult if it’s a bit tricky. Each drip, drip, drip that escapes down the plug hole means a Gumnut Baby misses out on a lovely bath! Make the Bush Babies grin, use a bin! In every tree and between every blade of grass, tiny creatures make their homes. So dropping food wrappers on the ground is like going to a friend’s house and leaving rubbish on their lounge room floor! Help the Gumnut Babies and their animal friends keep their home beautiful by putting litter in the bin. Go on an expedition in the street you live and see how much rubbish you can collect. Even little kids can be conservation superheroes! Plant a tree for the Gumnut Babies! Conservation for kids is never more fun than when they can get their little hands dirty. So why not plant a sapling together? Trees not only make our surroundings more beautiful, they create the perfect habitat for animals, insects and birds. 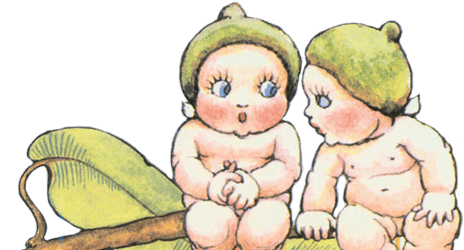 Gumnut Babies live at the tiptops of the big gum trees, too. They love to swing across the boughs when the wind is blowing so planting a tree gives the Gumnut Babies a new home and a new playground! Perhaps the best way to engage your child about conservation is to take them on a picnic somewhere where they can sit and wonder at the beauty of the Aussie bush. If you live in the city, conservation for kids is as easy as taking a drive a little further out so that you and your child can gaze up at the ancient gums and feel the crinkly leaves beneath their feet. Go exploring for gumnut blossoms and mushroom babies. Sit quietly for a moment. What can you hear? It’s the music of the bush – a whole other world of creatures going about their day. Teaching conservation for kids is easy when you have Gumnut Babies to lend a hand. Find lots more kid-friendly ways to engage with nature here.